This is the second year that the Meakultura Foundation in Warsaw has run its ‘Polish Music Critics Competition’, ‘Kropka’ (Dot). ‘Kropka’ is open to printed texts, blogs, newcomers and popular music, and there’s an award from the Editor-in-Chief of the Polish publishers PWM. This year’s winners (Polish-language page only) have just been announced and their 2015 submissions covered a wide range of topics, from Baroque performance to Star Wars. The winning entries came from Paweł Siechowicz, Magdalena Romańska, Antoni Michnik, Karolina Dąbek, Olga Drenda and the opera blogger Dorota Kozińska. The Special Award for a foreign text went last year to Alex Ross for his review in The New Yorker of Paweł Szymański’s opera Qudsja Zaher (Grand Theatre, Warsaw). Congratulations to this year’s winner, John Allison of Opera magazine, for his review of Szymanowski’s King Roger (Royal Opera House, London) in May 2015. Before I first went to Poland, my fellow student Jim Samson brought back from Warsaw an LP of music by Henryk Mikołaj Górecki. It blew our socks off. Released a couple of years earlier, Polskie Nagrania ‘Muza’ XL 0391 (reissued over 25 years later on Olympia OCD 385 as ‘The Essential Górecki’) contained music the like of which neither of us had heard before. There was the brief, Webernian Epitafium (1958), the explosive Scontri (Collisions, 1960), the incantatory Genesis II: Canti strumentali (1962) and the comparatively restrained Refren (Refrain, 1965). Thrilling though the first three pieces were, it was the last work that made the most profound impression. Here is that recording of 1967, by the the Great Symphony Orchestra of Polish Radio (WOSPR) conducted by Jan Krenz. Over the summer of 2013, information emerged about the commissioning and premiere of Refren (which took place in Geneva on this date 48 years ago, Wednesday 27 October 1965, with the Orchestre de la Suisse Romande conducted by Pierre Colombo – it had been commissioned for the Centenary of the International Telecommunications Union, which was and still is based in Geneva). This little story unfolded after I was contacted in early June by the Head of the Library and Archives service of the ITU, Kristine Clara. 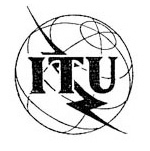 She had come across a photograph in the October 1965 issue of the ITU’s Communication Journal and could find no further trail of the ITU’s connection with Refren. “Could I help?”. This must be one of the strangest photographs connected with a new score. No sign of the composer, none of the conductor or orchestral musicians. Instead, there are three now-forgotten figures from the worlds of politics and the unions looking at Górecki’s manuscript (although it looks more like one of the orchestral parts than the full score). It is possible that Górecki had been invited, but I know that he was in Poland on the day that this photograph was taken and that he was ill at home on the day of the premiere six weeks later. 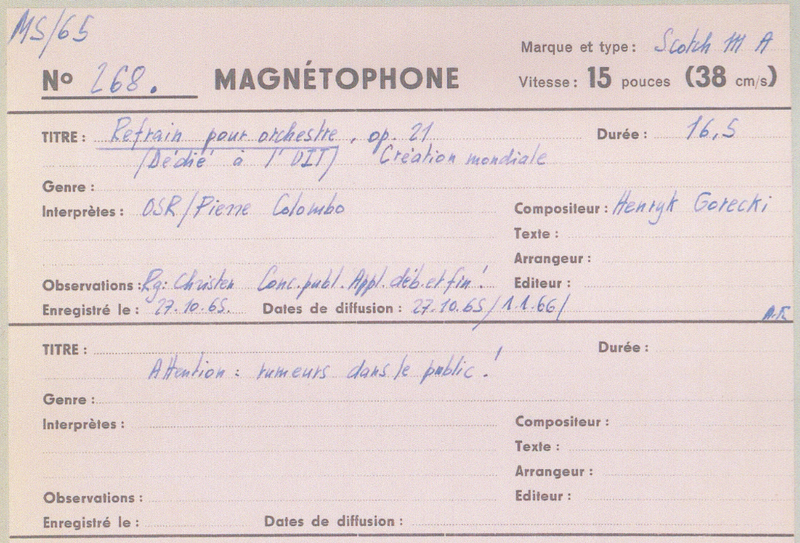 Kristine Clara also wondered where the score was – it was not in the ITU archives. As far as I am aware, it went back to Poland, to the composer and to his publisher PWM, who brought it out in 1967. As to the commission, my guess is that it was engineered by the Polish government and its Ministry of Culture. It was a very important moment in Górecki’s life: his first foreign commission and premiere. One piece of information that I could now furnish concerned the precise dates of Refren‘s composition. The dates that Górecki had given were May-June 1965. Having recently looked at his diaries, I was able to say that he started work on the piece on 26 April and finished it on 30 June. As our email conversation progressed, Kristine Clara unearthed other information, this time about the premiere. 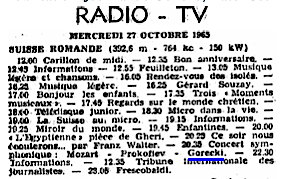 The Swiss Radio listings for 27 October indicate that Refren was broadcast live. She also came across the catalogue card for the Swiss Radio tape of the premiere, which indicated that not only was it broadcast live but, contrary to the BBC’s practice at the time, was also recorded, enabling it to be rebroadcast on New Year’s day 1966. I have not yet been able to determine if this tape still exists. It would be fascinating to hear it, not least to verify the unexpected comment – with exclamation mark – written on the card: ‘Attention: rumeurs dans le public!’ (Warning: audience noise!). Kristine Clara also unearthed several relevant items from the Journal de Genève – ‘de notre envoyé spécial’. This turns out to be Franz Walter, a music critic and broadcaster best known today for having interviewed the pianist Dinu Lipatti less than three months before his death in 1950 (http://www.youtube.com/watch?v=NqftMxn1PrI). Walter had been at the ‘Warsaw Autumn’ festival a few weeks before the premiere of Refren; I may come back at a later date to his two reviews of the festival in Journal de Genève (18 and 27 October). 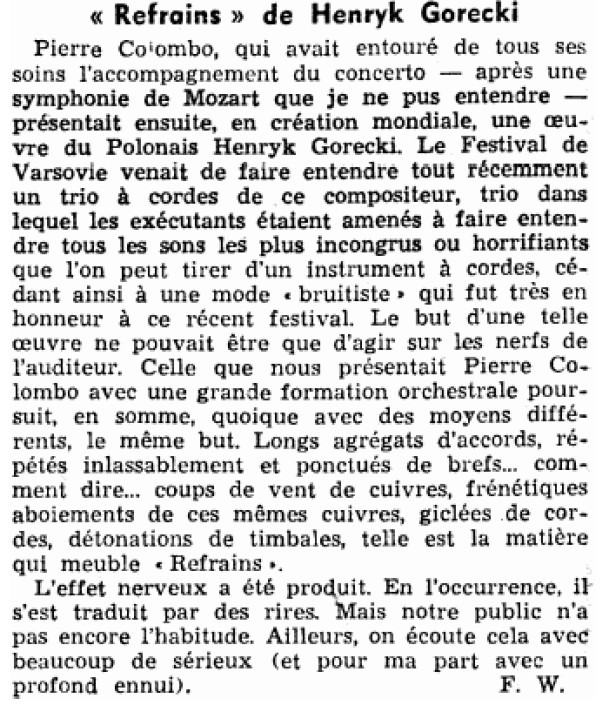 More pertinent here is his review of the Suisse Romande concert on 27 October, which appeared in Journal de Genève the following day (it is the only review of the premiere of which I am aware). I will pass over Walter’s enthusiastic response to the performance of Prokofiev’s First Violin Concerto by the young Claire Bernard. His response to Refren is revealing. His touchstone here was the performance he had heard in Warsaw on 23 September of Górecki’s Elementi for violin, viola and cello (1962), in a performance by Ensemble Instrumental Musiques Nouvelles de Bruxelles. Pierre Colombo, who had shaped the concerto’s accompaniment with great care – after a Mozart symphony which I could not hear [maybe Walter was returning to the hall having just introduced the concert on air] – then presented the world premiere of a work by the Pole Henryk Górecki. The Warsaw Festival had just recently aired a string trio by this composer, a trio in which the players were induced to utter all the most incongruous and horrifying sounds that one can draw from a string instrument, yielding also to a “bruitist” mode that was very much in evidence at this recent festival. The point of such a work could only be to get on the nerves of the listener. The work which Pierre Colombo presented to us, with large orchestral forces, pursued in short the same goal, though by different means. Long chordal aggregates, tirelessly repeated and punctuated by brief… how shall I put it… gusts of wind from the brass, frantic barking from these same brass, splashes from the strings, explosions from the timpani, such is the material which furnishes Refrains [sic]. The nervous effect was produced. In the event, it found expression in laughter. But our public is not yet used to this music. Elsewhere people listen with great seriousness (and for my part with profound boredom). F.W. There are some inconsistent aspects of Walter’s account, especially in the short second paragraph, but it is clear that he found Górecki’s new piece insupportable and gives the clue to the ‘audience noise’ mentioned on the Swiss Radio catalogue card. I wonder how widespread this laughter was. One has to marvel, though, at Walter’s response. He had heard much more rebarbative music in Warsaw a few weeks earlier, and Górecki’s Refren is not that far removed in aesthetic from Messiaen’s Les offrandes oubliées, composed 35 years earlier. It marks, as we now know, the turning point from the overt dynamism of the preceding decade to the largely contemplative mode of his subsequent music. But to contemporary ears (or at least Walter’s) it sounded as bad as the earlier pieces. For the second time in a month, I tuned in yesterday to Polish Radio 2 ‘Dwójka’ for one of its fortnightly ‘tribunals’. The format is simple but unusual. Three commentators – on this occasion, two critics plus a performer – whittle down a selection of six recordings of the same piece until it votes for a winner. All six CDs are heard in the same initial section of the piece, then four in a second section, three in a third and two in a fourth. It’s an interesting idea and draws in the listener. One might argue, however, if the sections are always chosen in the order that the work progresses, that a recording that improves as it unfolds may lose out too soon. The line-up for yesterday’s panel was Dorota Kozińska (critic), Kacper Miklaszewski (critic), Jacek Hawryluk (chair) and Karol Radziwonowicz (pianist). Yesterday it was the turn of the Piano Quintet (1885) by Juliusz Zarębski (1854-85). I have enthused on this work elsewhere in these pages, almost exactly a year ago (Zarębski’s Piano Quintet). Last February, I was especially keen on a YouTube recording by Darina Vassileva and the Quarto Quartet from Bulgaria and included links in my post, but I’ve still not been able to find a copy of its CD recording on the Arcadium label. • Round 4: Opening of fourth movement. After Round 1, the panel was (almost) unanimous in eliminating CDs 3 and 4, both of which – from this opening section only – sounded untidy, messy of tempo and somewhat over-egged expressively. They were both live performances. • It turned out that both CD3 and CD4 had Martha Argerich at the keyboard: a CD from the Lugano Festival (2011) and a DVD from a Warsaw concert (2012). I must admit to being surprised that two of the six slots were taken up by one major player, when in fact there are now over a dozen recordings that have been issued on CD over the past 20 years or so. A pity, therefore, that one of these was not chosen to replace one of the Argerich recordings. • Round 2 resulted in the elimination of another recent recording (CD6), this one by Piotr Sałajczyk and the Lasoń Ensemble (Accord, 2012) [thanks to William Hughes for pointing me in the right direction for the info on the players]. By this stage, the panel had isolated CD2 as being the least Slavonic/Romantic in tone and temperament, so the discussion seemed to be coming to a head partly on that basis. • Round 3 used a sizeable chunk from the beginning of the Scherzo. For my money, the only recording to live up to the title of the movement was CD2. It was light on its feet, whereas the others – especially the pianists – chose slow, deliberate tempos and made heavy weather of an admittedly difficult movement. 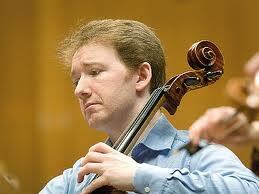 After some deliberation, CD1 was lost – Wojciech Świtała with the Royal String Quartet (Bearton, 2006). It was now down to a contest between the new, ‘non-Slavonic’ CD2 and the archival, ‘Slavonic’ CD5. • I could tell which way Round 4 was going to go from the comments so far. What puzzled me was that to my ears the excerpts from CD5 had severe drawbacks. Its first movement showed little shaping of cadential phrases (they simply motored on), while the second was on the slow side, with over-emphatic rhythmic articulation and a main theme (violin) that was overcooked and pretty horrid. The finale sounded better, though the piano playing still seemed mannered in places. CD2, on the other hand, brought freshness and new perspectives, even if it did not have the lushness and depth of tone of CD5. • CD2 was the runner-up: Jonathan Plowright and the Szymanowski Quartet (Hyperion, 2012). * CD5 was the only archive recording of the six, dating (if I caught it right) from c.1963. It featured ‘The Pianist’ Władysław Szpilman as a member of the Warsaw Piano Quintet, with Bronisław Gimpel as first violin. Well, that’s me told, but I stick to my guns about the over-ripe tone of the theme in the second movement. This remastered LP recording has been reisued on a 3-CD set of Szpilman’s ‘Legendary Recordings’ (Sony, 2005). This got me thinking about the recording history of the Zarębski Piano Quintet. For a work that was not published until the 1930s and which has never had much of a presence or reputation outside Poland, its tally of over twelve CD recordings is remarkable. Here’s my list, with the six recordings considered yesterday in bold – if you know of any omissions or errors, please let me know. It’s in chronological order of release (as far as I can ascertain). There is also a newly-issued CD of the quintet in an arrangement for piano and string orchestra (my thanks to Tomasz Andrzejewski for this information; see comments below). If the Vassileva-Quarto recording of 2010 is anything like the live video on YouTube, it could be something really special. I still remain true to the first recording that I heard – the Malicki-Varsovia on Pavane – even if it verges on being an archival recording. For one thing, its pacing and sense of musical drama are hard to better and, for another, it strikes a terrific balance between expressivity and momentum. If you can get hold of a copy, do. If you can’t, then my undoubted winner – for its revelatory and unfettered insights – is the most recent recording, by Jonathan Plowright and the Szymanowski Quartet on Hyperion. * I must declare my interest here, although I listened with innocent ears: I wrote the booklet notes for the Plowright/Szymanowski recording. My first post had been • Gardner/BBC SO top Polish Radio poll the day after the Tribunal on 19 January 2013 for Lutosławski’s Concerto for Orchestra. It received this response from Warsaw on 24 January: Wyroki Trybunału komentowane w Wielkiej Brytanii (Verdicts of the Tribunal commented on in Great Britain). Yesterday afternoon (19 January), a Polish Radio panel chose Edward Gardner’s recording of Lutosławski’s Concerto for Orchestra, with the BBC SO on Chandos, as its top recommendation for CDs of this much-recorded work. This was no ordinary ‘Building a Library’ type of format, however. This was an elimination contest based purely on listening, with no foreknowledge of who the performers were. Radio Dwójka (PR 2) is Polish Radio’s cultural channel. 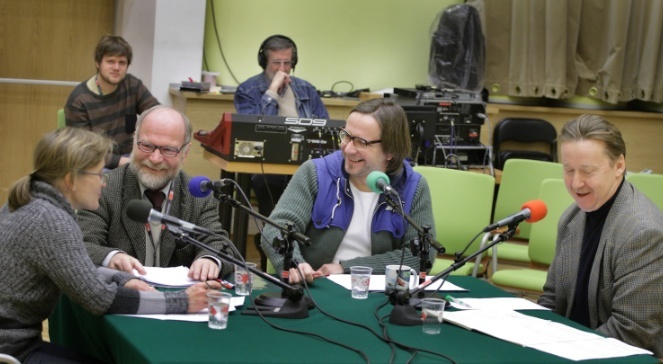 Every fortnight on Płytowy Tribunał Dwójki, a panel of three sits down to debate and vote on the best recorded interpretation of a selected work. There is also a studio audience which gets its own vote. It’s an intriguing format, one in which the panel puts its reputation on the line. Last night, it consisted of the music critics and broadcasters Dorota Kozińska and Kacper Miklaszewski, and the conductor Wojciech Michniewski. Jacek Hawryluk was in the chair. Michniewski knew Lutosławski well, has conducted his music frequently, including sharing the conducting of Trois poèmes d’Henri Michaux with the composer on the 6-LP boxed set of Lutosławski’s music issued by EMI in 1978. He was a key figure in the Breaking Chains festival in London in 1997 and in 2001 recorded a CD of Lutosławski’s music on Accord. But I digress. • After Round 2, the composer’s own recording from 1976/77 was eliminated (EMI, first released on LP in 1978). • After Round 3, Mariss Jansons’s new recording with the Bavarian Radio SO (BR Klassik, 2011) got the chop. That left just two recordings. The panel had proved itself pretty much of one mind during the earlier eliminations, and so it proved here too. • In Round 4, the runner-up was Jukka-Pekka Saraste’s recording with the London PO (LPO label, recorded live in 2008 at the Royal Festival Hall, London, released 2011). • The winner was Edward Gardner’s recording with the BBC SO, recorded and released in 2010 on the first of Chandos’s much-acclaimed series devoted to Lutosławski (for which I’ve had the privilege of writing the booklet notes). The studio audience also agreed with the panel about the top recording, but chose Lutosławski’s recording as the runner-up. While the panel preferred the three recent versions to the older ones, I was pleased to see that Lutosławski’s powerful interpretation still made an impact. If you’ve come across Hyperion’s recent release of Juliusz Zarębski’s wonderful Piano Quintet – played by Jonathan Plowright and the Szymanowski Quartet – you may be interested that Zarębski’s work also comes up before the Polish Radio 2 ‘tribunal’ in four weeks’ time, on Saturday 16 February. Of course, no-one knows if the Hyperion CD will be among those under discussion (my guess is that it will), but I’ll keep you posted! UPDATE! On 24 January 2013, Polish Radio 2 responded to this post with one of its own: Wyroki Trybunału komentowane w Wielkiej Brytanii (Verdicts of the Tribunal commented on in Great Britain). When I posted on the Tribunal’s deliberations on Zarębski’s Piano Quintet, Polish Radio 2 responded again: Adrian Thomas po raz drugi o werdykcie Trybunału (Adrian Thomas for the second time on the verdict of the Tribunal). 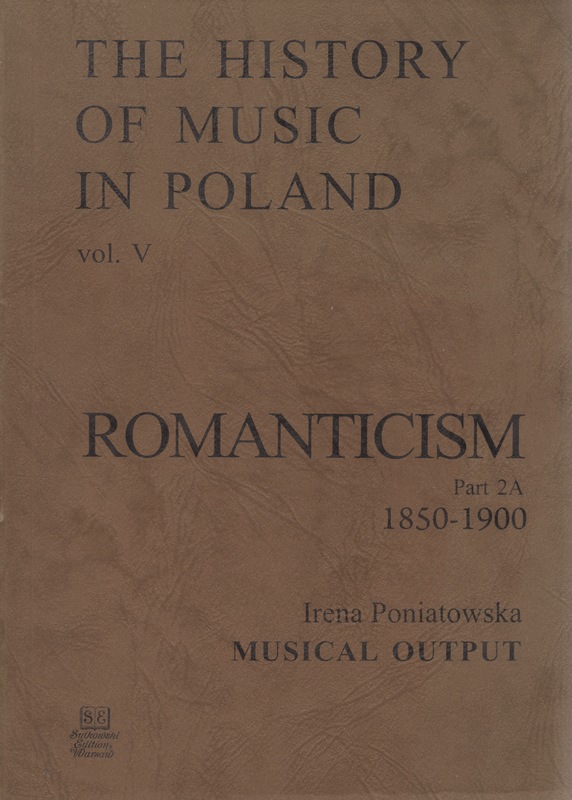 These two complementary volumes constitute vol.5 from the series ‘The History of Music in Poland’. They were first published in Polish in 2010 and have been ably translated into English by John Comber (who has worked on all the volumes in the series). They effectively cover the history of Polish music from the death of Chopin (1849) to the establishment of the first properly professional symphony orchestra, the Warsaw Philharmonic (1901). The series is the brainchild of Stefan Sutkowski, who turned 80 in March this year. His musical career has been extraordinarily varied. In 1954-1974 he was an oboist with the National Philharmonic and therefore played a role in the premieres of a host of new Polish compositions. From 1957, he also took the initiative in developing the performance of early music in Poland (Musicae Antiquae Collegium Varsoviense). This strand in his activities led eventually to the establishment of the Warsaw Chamber Opera and a series of special festivals devoted to Mozart (1991), Baroque Opera (1993), Rossini (1999) and Handel (2000). He also founded Pro Musica Camerata in order to disseminate Polish music through new printed editions of early music and on CD. ‘The History of Music in Poland’ has done something never before attempted: a history from medieval times to the present, in Polish and, more importantly, in English. For the first time, non-Polish readers are able to obtain both an overview and more detailed insights into the many riches of Polish musical culture. I should add that there is also one specific volume that, unfortunately, has yet to be translated. This is not on an historical period, as elsewhere in the series, but on a single composer. Tadeusz Kaczyński’s chronicled reminiscences in Lutosławski. Zycie i muzyka (Lutosławski. Life and Music), published in 1994 but apparently no longer available, is a mine of information, so I hope that plans are afoot for it to appear in English. Poniatowska’s volume on musical output is organised by genre, ten in all: opera, ballet, song, cantata, choral music, sacred music (oratorio, mass, organ music), symphonic music, the instrumental concerto, chamber music and piano music. These chapters are further divided. 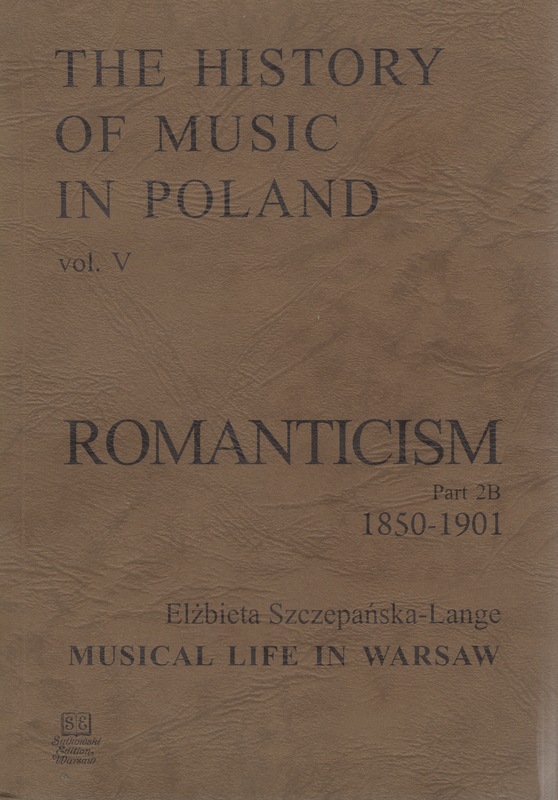 The last, for example, consists of an informative introduction and subsections on the etude, sonata, variations, suites and collections of works, romantic salon-style lyrical miniatures (with further headlines for characteristic Polish dances), profiles of three individual composers (Stolpe, Zarębski and Paderewski), and an account of the reception and resonance of Chopin’s music. The volume begins with an invaluable synoptic table covering over 40pp, tabulating side-by-side the four chronologies of world history and culture, Polish history and culture, European music and Polish music. Her first chapter succinctly sketches in the historical, cultural and educational contexts within which Polish music of this period existed. The ten subsequent chapters on genre are designed as a ‘handbook’, synthesising and building upon existing scholarship. The overview that emerges will be new to many Polish and non-Polish readers. Despite the obstacles put in the way of cultural activity – in admittedly different degrees – by the three partitioning powers of Russia, Prussia and Austria, there is far more to be discovered in these fifty years than has previously been recognised. Music history has focused on Moniuszko (opera, vocal music), Wieniawski (music for violin), Paderewski (music for piano), with further reference to Zarębski, Żeleński and Noskowski. The reputation of Polish music of the period has therefore rested on the shoulders of six or so composers, mainly because their music found its way into print during their lifetimes or, in the case of Zarębski’s Piano Quintet (1885), almost fifty years after his death. There is still a backlog of manuscripts and performing materials in Polish archives. There would have been even more had a huge amount not been destroyed during World War II. What Poniatowska has achieved here is to place a newly widened range of Polish composers and their music in the public eye. In the chapter on opera, there are outline analyses of plots, numbers and music styles, creating, by the variety and extent of observation, a compelling narrative of the range of output of several dozen composers (I lost count). The same is true of the other chapters. While opera was evidently the genre that thrived best in these turbulent decades, symphonic music was ‘most modest’. That’s putting it kindly. With no dedicated symphony orchestras, where were the opportunities? It was a desert for new Polish symphonic music (with a few exceptions) until the turn of the century, so it is understandable that Poniatowska should extend her chronological envelope to 1910 in this chapter to include the symphonies by Paderewski and Karłowicz, though interestingly there is no mention of Szymanowski’s First Symphony (1907). Yet, in the light of Szczepańska-Lange’s account, it is sad to realise that the moderately active concert life of the period did not extend as fully as it might to the support and development of homegrown compositional talent. I can testify to the value and usefulness of this book. I’m currently writing a CD note on three works for piano and orchestra by Żeleński and Zarzycki, a composer who until now has just been a name to me. I know that I shall be indebted to the information on these composers and their pieces, as there is nowhere else to access it in such a comprehensive and readable compendium. Szczepańska-Lange’s chronicle of Warsaw in the second half of the nineteenth century is a different kind of book, focused on one city and divided into just two very substantial sections: opera and concert life. These are each subdivided into an introduction and mainly a chronological sequence of smaller periods. The chapter on concert life also has subdivisions concerned with individual features such as charity concerts and the move towards the founding of the Warsaw Philharmonic. Szczepańska-Lange marshalls her materials deftly, with plentiful excerpts from newspaper reports bringing the narrative to life. She has sifted through a wealth of sources (she gratefully acknowledges the friendly atmosphere of the microform reading room of the National Library where she spent ‘hundreds of hours’), and her diligence, perceptiveness and enthusiasm show through. In particular, she has detailed the vagaries of political pressures from Russia and their impact on cultural organisations. A measure of how Warsaw more or less managed to keep up with opera houses to the West (Wagner excepted) may be gleaned from the dates of key premieres: Don Carlos (1873), Aida (1875), Lohengrin (1879), Mefistofele (1880), Carmen (1882), Tannhäuser (1883), La Gioconda (1885), Manon (1888) and Otello (1893). Language for performance became problematic: the Warsaw premieres of Eugene Onegin (1899) and The Queen of Spades (1900) were both given in Italian, symptomatic of the times. Warsaw Opera was no different from its counterparts in its intrigues, but its repertoire during this period of occupation was surprisingly wide and varied. The hall was overcome by the most remarkable silence in concert history; it was something truly incredible, almost no one was late; and what is even more unlikely, no one ran out for their garments to the cloakroom during the last number; the ladies refrained from conversing aloud; and the gentlemen did not go out after every number for a cigarette! Verily, one has to be such an Orpheus as Rubinstein to perform such miracles. Szczepańska-Lange’s overview of the period in her Introduction is a model of its kind, giving accounts of different types of events and their appearance within the chronology. In the subsequent chronicle, the artistic and organisational comings and goings are effectively woven in with details of repertoire. The move towards a permanent symphony orchestra began long before 1901. In 1881, the composer Noskowski created his own orchestra with the specific intention of promoting new works by himself and others, both Polish and foreign, such as Smetana, Dvóřak and Saint-Saëns. But little concrete happened until the very end of the century, when the conductor and composer Młynarski spearheaded the final drive to establishing not only the orchestra but also the Philharmonic Hall, which remains the home of the Warsaw Philharmonic to this day. Polish composers had to fend for themselves, usually through teaching or administration. The few composer-virtuosi – Wieniawski, Zarębski and Paderewski – based themselves abroad. Zarębski is an interesting case. He studied with Liszt, toured across Europe and lived and taught in Brussels, died in 1885 in his 30s, and left a modest body of music for solo piano and the marvellous Piano Quintet. Ponietowska discusses his music in her volume, but Zarębski’s appearances in Szczepańska-Lange’s companion volume are few, indicating how rarely he visited Warsaw (it appears he played there only twice). There are, however, wonderfully intemperate and sarcastic responses to his appearance in 1879 playing the Mangeot double-keyboard piano. The interlinking of compositions and performances across these two volumes does not require the mental and physical gymnastics mastered by Zarębski on the Mangeot piano, but it does lead to a hugely enriched and enriching double account of this largely forgotten period of Polish musical history. I for one am immensely grateful to have this new interlinked resource on my bookshelves as I prepare my CD note on Żeleński and Zarzycki. What neither of these books does is to engage with aesthetic and philosophical approaches to Romanticism. This is not for want of knowledge or understanding. It is simply that these books have a different and more basic goal: to put into print the essential facts about the largely hidden composers and music of this period in Polish culture. They offer opportunities for the rest of us to explore further, but that exploration will not come to much unless scholars edit and publish the scores so that performers, broadcasters and recording labels can enable us to hear the music. What has until recently been dismissed as a dank backwater of European music may then be seen and heard to have had a much more intriguing and lively character, if these two volumes are anything to go by. At that point, issues concerning the term ‘Romanticism’ within the Polish context will come into focus. If you tune into New York’s WQXR Q2 this week, you’ll find yourself in the midst of a week-long celebration of Chinese music, ‘The Year of the Dragon’. Bringing new music to its audiences is WQXR Q2’s mission. It’s been ‘on air’ since October 2009 and is a listener-supported online streaming service devoted to music by living composers. The nature of its audience’s musical preferences may be gleaned from its 2011 ‘New-Music Countdown’, where listeners voted for their favourite music written since 1900. 22 of the top 50 pieces were by living composers, most of them American: Adams (5 works), Adès, Andriessen, Carter, Corigliano, Dennehy, Duckworth, Glass, Golijov (2), Gordon, Lang, Lindberg, Pärt (2), Reich (2) and Riley. The only Polish composer in the top 50, unsurprisingly, was Górecki, whose Third Symphony came in fifth. On 20 December last year, Q2 announced a new week-long venture: ‘Muzyka Nowa. A Celebration of Contemporary Polish Music’ (16-22 January 2012). Well, I was all ears at this news and last week I spent more waking hours listening via iTunes than I had first intended. This was partly because the streaming audio experience was new to me and I was curious to see how it worked in practice. I was particularly fascinated to find out how Q2 would tackle such a big theme editorially, given the dearth of Polish names in their end-of-year poll. The results, as you’ll see, were mixed. It is perhaps worth comparing a few statistics with the New York Juilliard School’s 27th Focus! festival – ‘Polish Modern: New Directions in Polish Music since 1945′ – which took place exactly a year ago (22-28 January 2011). Juilliard’s Polish Modern festival presented 39 works by 36 composers (one piece per composer, with the exception of Lutosławski, who had the final concert to himself). It had six concerts, with some 8 hours of music. Q2’s Muzyka Nowa, by my count, had 107 (post-1945) works by 38 (Polish-born and Polish-trained) composers. These were spread over six and a half days, including two 24-hour all-Polish marathons (actually, they were just over 21 hours). Where Polish Modern was concentrated, Muzyka Nowa tended towards the diffuse. At least half of each weekday’s playlist at Q2 is unhosted. That means no announcers and no ‘on air’ indication of what is being played (you have to look ‘on screen’). There are two main hosted programmes, each repeated twelve hours later: an hour-long slot for music involving keyboard – ‘Hammered!’ – with a short introduction to the day’s repertoire at the top; and a four-hour programme with more conventional introductions and back announcements to each piece. This means that the online playlists are crucial for anyone wanting to find out what is ‘on air’. These were fairly easy to access (they give composer and performer details, plus the source). There were several times in this Polish week, however, when the playlists gave only the title, not the composer. So we had Subito (Lutosławski), Stabat Mater (Szymanowski), En blanc et noir (Augustyn, not Debussy) and String Quartet no.6 (Bacewicz? Meyer? no – Lasoń). The major drawback is that there is generally no advance notice of programme details. This makes structured listening impossible. For some listeners, that may be perfect, the ideal ‘innocent ear’ environment. But for anyone who likes to plan some or all of their listening, it can be immensely frustrating. It doesn’t do, either, to expect a programme to begin or end at the allotted hour. The appearance of Szymanowski was anachronistic, given the basic idea behind Muzyka Nowa. In fact, his contribution was quite slight, with Métopes (1915), the Mazurkas op.50 (1925) and Stabat Mater (1926) being the only major pieces. But at least they were written within the past 100 years. Karłowicz’s 1902 Violin Concerto (3 complete airings plus two of the three movements on another occasion) was a puzzling inclusion, while the appearance of Chopin’s Polonaise in F sharp minor (1841) on this ‘Living Music. Living Composers’ station was altogether bizarre. And even the presenter was surprised by the inclusion, during Wednesday’s all-Polish marathon, of the Tenth Piano Sonata by a Russian composer: “Scriabin, of all people”, he muttered. A further sign of editorial fluidity was the way in which programme titles changed as the week progressed. ‘Jakub Ciupiński Hosts’ became ‘The Holy [‘Holy’?] Trinity of Contemporary Polish Music’ and ‘Poland’s Next Wave’, while the four-hour hosted programme ‘Polish Composers: 20th Century Masters to the Next Generation’ became the exaggerated ‘Titans of Polish Music: Past, Present and Future’. Outside the two marathon days, this particular slot, like the unhosted segments, generally devoted 50%-60% of its play time to Polish repertoire. To be brutally honest, little was added to listener enjoyment or knowledge by the hosted programmes, with the exception of the two slots specially hosted by Jakub Ciupiński. Ciupiński is a young Polish composer now living in New York and he brought an insight to his chosen repertoire that was a model of enthusiasm and concision. He should do more broadcasting. The shame was that Q2 seemed not to have used his ability as a native speaker to do something about other presenters’ pronunciation of Polish names. Almost twenty years since Górecki became a household name, it was extraordinary to hear ‘Goorekki’ rather than ‘Gooretski’. Nowa inexplicably became ‘Nuova’, Piotr became ‘Peetor’. The consonant ‘z’ frequently became invisible/inaudible. Bruzdowicz was first said correctly (hooray! ), then immediately ‘corrected’ to ‘Brudowicz’. For Andrzej we heard ‘Andrezh’. And yet, seconds later, the ‘J’ of Jacek miraculously was not a ‘Zh’ but the correct ‘Y’. Such manglings were all too common. Unhosted segments suddenly seemed more attractive. The quality of the commentaries also left something to be desired. The real low-point was the introduction to Penderecki’s Polish Requiem during the first marathon on Wednesday. Having described it as “big, beautiful, crazy, awesome” – a less appropriate, more vacuous series of adjectives is hard to imagine – the presenter concluded with “he sort of wrote it piecemeal … he sort of expanded it … at the basic level it’s just a setting of the requiem … Antoni Wit is the conductor of the whole shebang”. The range of post-1945 music included in Muzyka Nowa was fairly impressive (a full repertoire list is given at the end of this post). It highlighted, as Q2 put it, the ‘Titans’ or the ‘Holy Trinity’ – Lutosławski, Penderecki and Górecki – and included composers born in every decade from the 1900s to the 1980s, with the youngest composer, as far as I can tell, being the 24-year-old Jacek Sotomski. There was a good variety of solo, chamber, orchestral, vocal and vocal-instrumental music, though no examples of opera, music theatre or jazz. It also skirted a little around the experimental trends of the past 50 years (no Schaeffer, just one piece by Krauze). There did not appear to be much in the way of editorial planning in terms of sub-groupings or sub-themes, and this left the sense of an opportunity missed. After all, there is surely no automatic equation: ‘unhosted=unthemed’. Would it not have been possible to retitle and structure some of the random unhosted segments, just for this Polish week? Closest to such an idea was the programming of the six CD-available string quartets by Lasoń, but nowhere was this flagged up as a feature. There were no complete symphonies by any of the ‘Holy Trinity’, no works written for the seminal chamber ensemble ‘Music Workshop’, no focus on any selected genre, generation or sub-period, such as sacred music, ‘Generation ’51’ or music post-1989. But anyone who has programmed a festival will know that there is always too much choice, so hats off to Q2 at the very least for bringing its listeners a decent if apparently random selection from the Polish table. 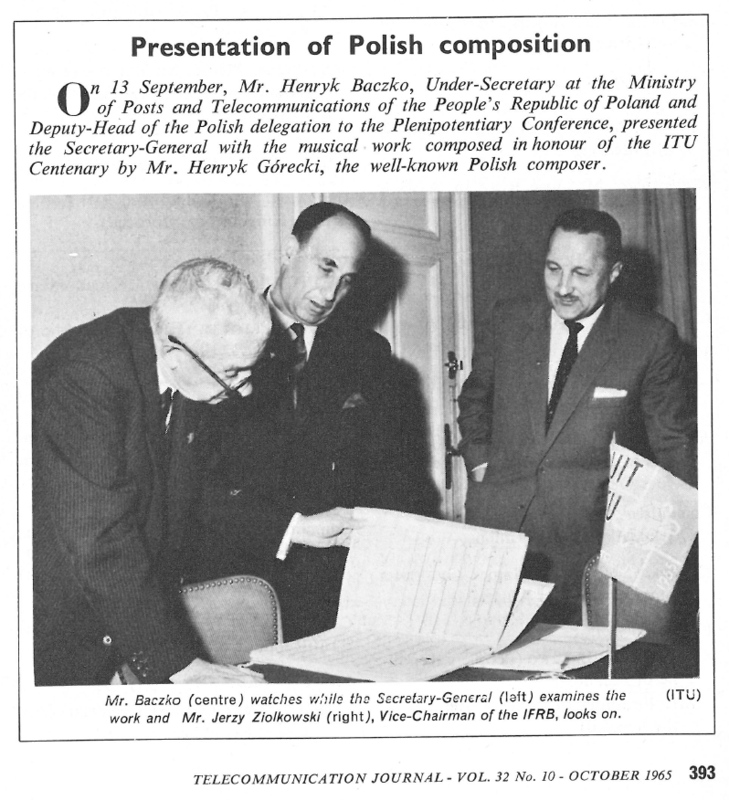 • Since the ‘Warsaw Autumn’ festival began in 1956, it has sought to promote the (mainly Polish) music that it has programmed by means of recordings, its ‘Sound Chronicles’. These were issued initially on LPs, later on tape cassettes, and now on CDs. Unfortunately, the Sound Chronicles have never been available commercially. University libraries and major radio stations are the most likely places to hold these extensive and valuable recordings. Q2 made most use of a selection of highlights from the first 50 years of the festival, compiled in 2007 by the Polish music critic Andrzej Chłopecki. It’s a 10-CD box set, with single pieces by 70 composers, eight of which were included in Muzyka Nowa. Recordings were also taken from the Sound Chronicles for the 2008 and 2009 festivals. • Q2 trumpeted its broadcasting of excerpts from two other festivals. The first of these was the 2011 UNSOUND festival in Kraków. In the event, only one Polish piece was aired – (Michał) Jacaszek’s launch of music from his new album Glimmer – although it was very much worth it, as reviews for the album have already proved. The second festival was last year’s Juilliard Focus! on Polish modern music, mentioned at the top of this post. Sad to report, but only four of the 39 pieces from Polish Modern made it onto the Muzyka Nowa playlist. • Top of the live performance contributions was Q2’s own recording of a concert last November, given to mark the first anniversary of Górecki’s death. More on this towards the end of this post. All in all, there were 131 repeat airings (not including partial repeats), compared with the basic repertoire of 107 compositions. That made 238 broadcast items overall, at least by my reckoning (that’s equivalent to 34 a day, or one and a half pieces an hour). There was no discernible rationale for which pieces were or were not repeated. I for one welcome the additional exposure for Knapik, Krzanowski and Sikora (she fared particularly well). If Q2 wanted to raise the profile of Bruzdowicz, however, they could have done better than to broadcast her song cycle World in a recording which harboured the most grotesque singing that I have ever heard. Undoubtedly the most unbalanced programming was accorded to Szymański, whom I have admired for over 30 years and remain an ardent champion. But even he would acknowledge that to air two of his keyboard compositions seven times apiece – and one of them with just one recording – was out of proportion. It’s not even as if they are his most distinctive or distinguished works. Just think what could have been done had the extent of the repetitions been cut back. If those two keyboard works by Szymański, for example, had had just two airings each, instead of seven, that would have freed up 3 hrs 45′. We might then have heard a wider range of Szymański works, like his Partita III, Partita IV, Lux Aeterna or Miserere. All of these pieces, totalling just under an hour of music, are on the same CD from which Q2 drew the three airings of Szymański’s Two Studies which were played by its dedicatee, Szábolcs Esztényi. How easy it would have been to include these four other works, and to what benefit of the repertoire. Furthermore, their inclusion would still have left 2 hrs 45′ for other new repertoire. The principle of this idea is self-evident. This was a programming opportunity missed, and Muzyka Nowa was the poorer for it. It was even poorer for some serious omissions from its roster of composers. Whether or not the relatively modest number of 38 composers was a deliberate decision is impossible to say, but seven other names among many were notable for their absence. Firstly, though perhaps not most importantly, was Henryk Górecki’s son Mikołaj, who is also a composer and teaches in Texas. Q2 had spoken to him and posted An Interview with Mikołaj Górecki online. They even got him to provide a playlist, commenting also that he “is plenty accomplished in his own right”. But not a note of his music was heard. Also absent was one of Poland’s most imaginative and internationally recognised composers, Marta Ptaszyńska, who has lived and taught in the United States for many years. Where was she? Where also were Tadeusz Wielecki and Stanisław Krupowicz, contemporaries of Knapik, Lasoń and Szymański and equally important figures in Polish music since the late 1970s? And where was Hanna Kulenty, surely one of the most talented and exploratory composers born in the 1960s? The most astonishing hole in the repertoire was left by the total exclusion of Tadeusz Baird and Kazimierz Serocki. Baird and Serocki were the driving force behind the ‘Warsaw Autumn’ festival, on whose Sound Chronicles Q2 relied for the majority of its ‘live’ output. Even if such historical significance is put to one side, is there anyone with any knowledge of Polish music who would deny that Baird and Serocki were composers of international significance, composers of striking individuality whose music stands up as well today as it did when they were alive? All Q2 had to do, with minimum effort, was to take Chłopecki’s choice from the 1956-2005 ‘Warsaw Autumn’ boxed set – as it did for pieces by Augustyn, Bargielski, Grudzień, Knapik, Krauze, Meyer, Stachowski and Szymański – and broadcast Baird’s Play and Serocki’s Impromptu fantasque. While Serocki is not well served by the CD catalogue, several CDs of Baird’s music are available and would have immensely enriched the mix of the week’s repertoire. ‘In memoriam Henryk Mikołaj Górecki’ was the flagship event for Muzyka Nowa. It was a recording of a concert given at the New York bar/café (Le) Poisson Rouge, which has a full artistic programme of events embracing a wide musical spectrum. On 8 November 2011, Q2 recorded two pieces: the Second String Quartet ‘Quasi una fantasia’, performed by the JACK Quartet, and Little Requiem, performed by Signal Ensemble. The concert was preceded by an interview with Bob Hurwitz, the founder of Nonesuch Records and the man responsible for that recording of Górecki’s Third Symphony. The transmission was scheduled for 19.00 local time (midnight UK time) last Thursday, 19 January. Things could not have gone more disastrously wrong. For unexplained reasons, the broadcast began 50 minutes early, the last 3′ of Quasi una fantasia were overlapped by the first 3′ of Little Requiem, and the pre-concert talk was broadcast at the end. Fortunately, the rebroadcast during the second marathon, on Saturday, was all in order (although the ambient noise of the venue and the uneven miking did not help on either occasion). Was this episode a consequence of misfortune or incompetence? It certainly made me realise what a blessing it is in the UK to have responsible broadcasters. Despite my criticisms, I don’t want to leave the impression that this was by any means a failure, just that with a little more thought and programming tweaks it could have been excellent. It was a bold venture and one which reaped many rewards, not least the unexpected juxtapositions of composers and pieces. Q2’s principal aim – to bring a vibrant musical repertoire to the attention of a potentially new audience – was in good measure realised. • being reacquainted with music by Polish composers now in their 40s and early 50s, such as Jacek Grudzień’s Ad Naan (2002) with its dynamic use of electronic manipulation, and Agata Zubel’s Cascando (2007), in which she was the engaging vocal soloist. • being introduced to the music of younger composers, still in their 20s or early 30s, such as Jacaszek’s electro-acoustic Glimmer (2011, already mentioned), Mateusz Ryczek’s NGC 4414 for two pianos and percussion (2008) and Krzysztof Wołek’s Elements for ensemble and live electronics (2009). • and, best of all, hearing the extraordinary jazz trumpeter Tomasz Stańko improvising over Tomasz Sikorski’s tape piece Solitude of Sounds (1975) at the 2009 ‘Warsaw Autumn’. • Witold Szalonek: Chaconne (2), Inside? – Outside? Talking with a friend the other day about his experience of a concert performance of Lutosławski’s Cello Concerto in London’s Cadogan Hall (Jacob Kullberg, RPO, conducted by Christopher Austin, 25 October 2011), I realised that it’s been a long time since I saw this concerto live. Chester Music’s website indicates that the only forthcoming performance is in Tokyo next month. So I looked again through the currently available YouTube videos (excluding the purely audio postings). The continuing appeal of Lutosławski’s Cello Concerto (1970) is remarkable. I believe that no other cello concerto since Shostakovich’s two (1959, 1966) has had as many commercial audio recordings (17 and counting). And it is noticeable that Lutosławski’s ground-breaking concerto attracts young performers in particular. The only senior performer on YouTube is Yo-Yo Ma, who regrettably has never committed his interpretation to disc, even though he has performed the work on a number of occasions. This is just a short excerpt, taken from a performance that Yo-Yo Ma gave (with score, on which he seems to be surprisingly dependent in the closing stages) with the Los Angeles PO, conducted by Esa-Pekka Salonen. It consists of the immediate build-up to the work’s climax, which then leads on to the Coda. It has all the hallmarks of Ma’s artistry, so it is the more regrettable that there is no current access to the preceding 20′ or so. The Israeli-American cellist Inbal Segev (Inbalsegev) uploaded two excerpts on 17 June 2008. They come from her performance during the second Paulo Cello Competition in Helsinki in 1996, when she was accompanied by the Helsinki Radio SO under Petri Sakari. The first excerpt is from near the start of the central slow Cantilena, up to its middle point, while the second makes rather heavy weather of what should be the soloist’s helter-skelter ‘escape’ (as Lutosławski put it) from orchestral attacks in the Finale. This is a name new to me. David Eggert is a Canadian in his mid-20s who is studying in Europe. His YouTube video, with the Slovenian PO, conducted by Uroš Lajovic, was posted by powertimsah on 23 September 2010. Its four-part upload is not fully in line with the four movements of Lutosławski’s concerto: Introduction, Four Episodes, Cantilena, Finale + Coda. There are two major drawbacks, neither of them Eggert’s fault. Firstly, the recording starts halfway through the Introduction, on the high Bbs on system 11 of the first page of the score. Carelessness or misfortune, either way it ruins the performance as a whole. Secondly, the sound quality is often poor because it is plagued by high-pitched ‘twittering’. This is a great pity, because Eggert (playing from score) is a committed soloist, commanding both delicate and strong articulation. What is there of the introduction indicates that he understands the import of both his solo role and the brass interruptions (he responds subtly to the latter, both behaviourally and musically), while the Finale is one of the most urgent and dramatically shaped that I have heard. German-born Nicolas Altstaedt is a BBC New Generation Artist and has developed an impressive career in recent years. This complete recording, first uploaded by haekueroenstoe on 6 February 2010, is with the Finnish Radio SO under Dmitri (Dima) Slobodeniouk. 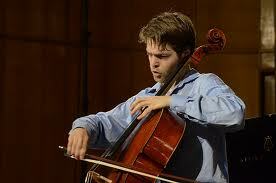 It appears to come from Altstaedt’s participation at the fourth Paulo Cello Competition in Helsinki in 2007. The upload separates the recording into three instalments that unfortunately cut against the grain of Lutosławski’s structure. Worse still, in the second instalment there is a time-lapse of over 1″ as the image falls behind the sound, and this time-lapse lengthens to over 7″ in the third instalment. If you close your eyes, however, there’s much to appreciate here. On 9 March 2013, the technical problems were sorted out when the uploader posted this performance in a single video: http://www.youtube.com/watch?v=pIxvBjP7ld8. Great news, as this performance is riveting! Only the first of the three instalments from the original upload is still available. Altstaedt (playing without score) produces a fiery and exciting performance which is matched by Slobodeniouk’s tight orchestral direction. At c. 22’25” it is also one of the shortest. Only two performances, both conducted by the composer (with Roman Jabłoński and Louise Hopkins) are shorter, and then only marginally. In the Introduction, Altstaedt plays with studied intensity rather than absent-minded indifference, recalling Rostropovich’s determined approach (though Altstaedt maintains a greater timbral and rhythmic consistency). He also evinces a high degree of self-confident independence in the Episodes where others may aim for intimate rapport with the orchestra. Altstaedt’s approach emphasises the dynamism of Lutosławski’s score, even in the Cantilena, where he is especially eloquent. He dominates even the Finale, making the confrontation between soloist and orchestra more like a battle of equals whose outcome cannot be taken for granted. If that makes the cello’s vanquishment a little surprising, its subsequent resurrection is triumphant. Although Oren Shevlin is another name new to me, he is British by birth. He does not appear to have his own website. He uploaded these two videos – whose division acknowledges Lutosławski’s structure – on 20 September 2011 (under the name orencello). They come from performances that he gave (without score) on 3 and 4 February this year with the WDR SO in Cologne, conducted by Jukka-Pekka Saraste. It is a very fine performance, executed with a modesty and deceptive frailty that fits the character imagined by the composer. Lutosławski was wary of performers who over-invested the Introduction with emotion and thus ran the danger of blunting the drama that follows. Shevlin’s reaction to the marking indifferente over the repeated D naturals is to look vaguely outwards and his demeanour really does suggest the mind-lessness and whimsicality that Lutosławski was aiming for in the opening 4′ solo. Shevlin genuinely works with the orchestra in the Episodes that follow, seeking the common ground, with subtlety and apparent extemporaneity, that is periodically thwarted by interruptive brass. If Shevlin’s tone is not as robust as those of some other performers of this work, his empathy with the strings in the Cantilena, as the section moves towards the ringing unison, is persuasive. 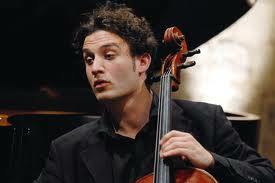 Here is the cellist as Everyman, emotionally open and vulnerable. This pays dividends in the Finale, where the orchestra attempts to quash his voice. At fig.88, Shevlin plays the cello’s response to the orchestra’s battery in a way which emphasises the survival instinct of the downtrodden and their sense of irony, even humour, at such moments. And this was precisely what Lutosławski wanted here. I’ve never heard the phrase at fig.88 uttered with such wry poignancy. The ‘escape’ that follows is raw. Shevlin plays as if he is fleeing and pleading for his life. When he emerges with weeping cello sobs and then climbs to the heights of those strong, almost desperate A naturals at the very end, one can believe that he has survived the ordeal, but only just and, as Lutosławski said, ‘in another world’. Shevlin has also uploaded the Introduction separately (on 22 July 2010 – he calls it the Cadenza). Here he is younger and beardless, and I’ve identified the occasion as an excerpt from his performance during the second Paulo Cello Competition (1996). The conductor is Petri Sakari with the Helsinki Radio SO (as for Segev’s excerpts, above). What is striking about the performers of the videos detailed above is the strong level of participation by Finnish musicians: the Finnish Radio SO features on three videos (Segev, Altstaedt, and the Shevlin excerpt from 1996) and three Finnish conductors take the helm on four: Salonen (Yo-Yo Ma), Sakari (Segev and Shevlin excerpts) and Saraste (Shevlin complete). The (usually) triennial Paulo Cello Competition in Finland’s capital has evidently played a key role for several of these players. There is also a strong Eastern European showing: the Slovenian PO and Lajovic (Eggert) and the Russian conductor Slobodeniouk (Altstaedt). The nationalities of the soloists, however, are more broad (American, Israeli, Canadian, German and British). Yo-Yo Ma, Inbal Segev and Oren Shevlin (1996) give only excerpts, so these are unable to provide substantial insights. It is interesting, however, to be able to compare the two Shevlin Introductions, performed 15 years apart. It is enormously frustrating that David Eggert’s perceptive account is marred by the missing first 2′ and its poor sound quality, but I am keen to hear his interpretation under better circumstances. Equally, I eagerly await a proper chance to hear Altstaedt in concert as it is impossible to watch most of this clumsily divided upload because of the time-lapses in the second and third instalments. The first instalment gives a good idea of Altstaedt’s firm grasp of Lutosławski’s score, and it is of course possible to listen to the rest with eyes closed. It is a performance to savour for its muscularity and momentum. So that leaves only Shevlin’s complete performance (2011) with the WDR SO under Saraste. As indicated above, I think that this is a truly insightful interpretation and one that repays listening and deserves wide recognition. It also bears repeated viewings for the TV direction, with its imaginative camera angles (including a hidden floor-camera in front of the soloist) and variety of split-screen shots which highlight key orchestral participants and textures.